A Nigerian woman, dressed stylishly in native aso ebi wear has been spotted attending the royal wedding. She is probably the only Nigerian who got an invite, some people have suggested on social media. 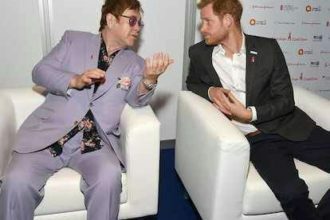 Kensington Palace said in a March statement that Harry and Meghan invited 2,640 people into the Windsor grounds to watch their arrivals. 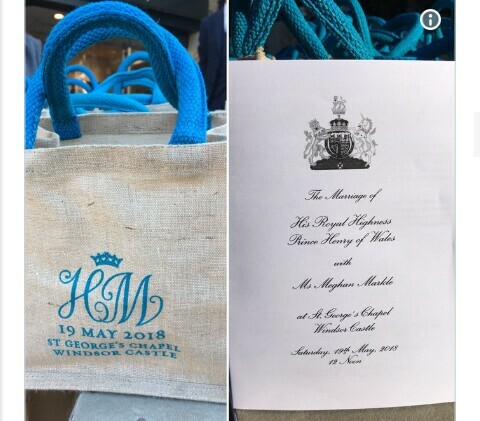 Meanwhile, Prince Harry and Meghan Markle gave out Goodie Bags at the Royal wedding. Along with the gift bags, the guests left the grounds with a lifetime of memories thanks to the royal couple. 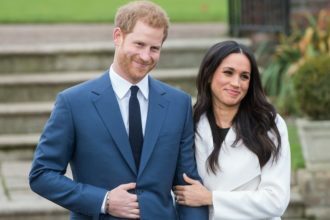 They cheered and shouted as Harry and Meghan shared their first kiss as newlyweds on the steps of St. George’s chapel. After greeting the crowd, the Duke and Duchess of Essex embarked on their first horse-drawn journey through the streets of Windsor.